That's right theatre fans. One of the theatre's most beloved shows of all time is heading across the pond. 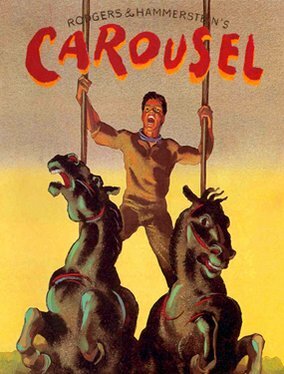 Carousel, which believe it or not premiered on Broadway over seventy years ago is set to return to London for the first time since it's award winning production in 1992. Previews for the show are set to begin at the Coliseum on April 7, 2017, and run thru May 13. Now I have been a big fan of Rodgers and Hammerstein for as long as I can remember. In fact carousel is my favorite of all of their musicals. This new production, which is being directed by Lonny Price (Sunset Boulevard), will star Katherine Jenkins and Alfie Boe as tragic lovers Julie Jordan Billy Bigelow. Featuring such classics like, "You'll Never Walk Alone", "If I Loved You", "Mister Snow" and "June is Bustin Out All Over", Carousel is one show you do not want to miss. Get your tickets to see Carousel in London at the Coliseum. Until next time theatre fans.